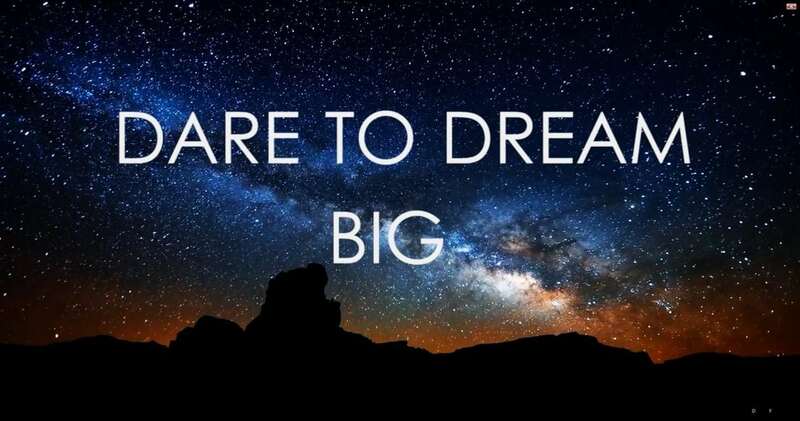 Dare to dream big, why not? Because it sounds too ridiculous to other people? Screw their thoughts! Their thoughts don’t pay your bills. I use to never really dared to dream big because it sounds scary and seems a lot of work to get there because I never knew “how” to achieve it. That sounds like the best excuse not to go for what you want right? However, letting go the need to know “how” has just helped me focus on taking actions that help me achieve my end results, which leads me closer to achieve my dreams. I use to always compare myself to other people and question myself. “What am I doing wrong and how come I don’t have what “they” have despite working so hard?” That is because we are all on a different life journey and we are all here for a different purpose. Not only did I need to have clarity on my vision but also having the ability to accept full responsibility for my path. Being surrounded by negative people who always bring you down? Always bringing you down to their level because they don’t want to see you doing better than them? Yep, that’s when reality hit me truly when I found out that there were people around me not liking the fact that I was achieving so many results in my life. That’s just how some people are. Instead of focusing on the people that didn’t like seeing what I was achieving, I managed to surround myself with people who kept pulling me up off the ground, people who would grab me with both arms and literally pull me off the ground despite all the other things that they have trouble dealing with themselves. They would leave no one behind whilst they after their own dreams. When you start taking on leadership in your life and develop the ability to take responsibility for everything that happens in your life. Develop the skill to hold onto tension for everything that has happened in your life so that you can create what you love, it’s not easy but it is worth it when you have a more fulfilling and happier life.